Reef Tiger stands for high quality and reliable functionality. 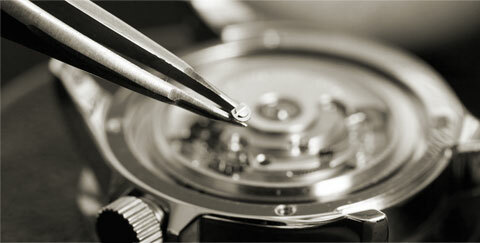 No watch leaves our Swiss headquarters without quality checks involving the use of cutting-edge technology. We offer you and your new Reef Tiger a three-year guarantee on materials and manufacturing faults starting from the date of purchase. Our specialists are there to assist you - quickly, reliable service centres worldwide. We offer a twenty-four (24) months warranty on the work carried out. In the event of a fault covered by this warranty, we will, at our discretion and without cost, repair or replace any spare parts and/or rectify a faulty repair as identified by our Customer Service. All other rights resulting from the faulty execution of our services are expressly excluded. This warranty does not cover normal wear and tear or damage caused by accidents or negligence. This warranty is rendered void if work is carried out on the watch by persons who are not authorized to do so by Reef Tiger S.A.
Before one of our watches leaves the factory, it will be once again subjected to an exact quality control by watchmakers, and with the aid of the most modern technologies. The specially issued certificate also guarantees first-class quality and perfect function. For 24 months following the date of purchase, the guarantee work is quickly and reliably carried out at all acknowledged service points – wherever you happen to be at any time.